An urgent public appeal for funding to help redevelop a Borders theatre has reached its target. 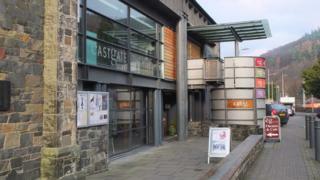 The £70,000 needed towards major expansion plans at the Eastgate Theatre in Peebles was raised in two months. The support will help to unlock further funding towards phase one of the redevelopment project. Over the coming months the auditorium of the former church will be completely renovated creating additional seating and improving lighting and heating. A second phase of work will see the theatre's footprint expanded and the foyer and café areas reconfigured.